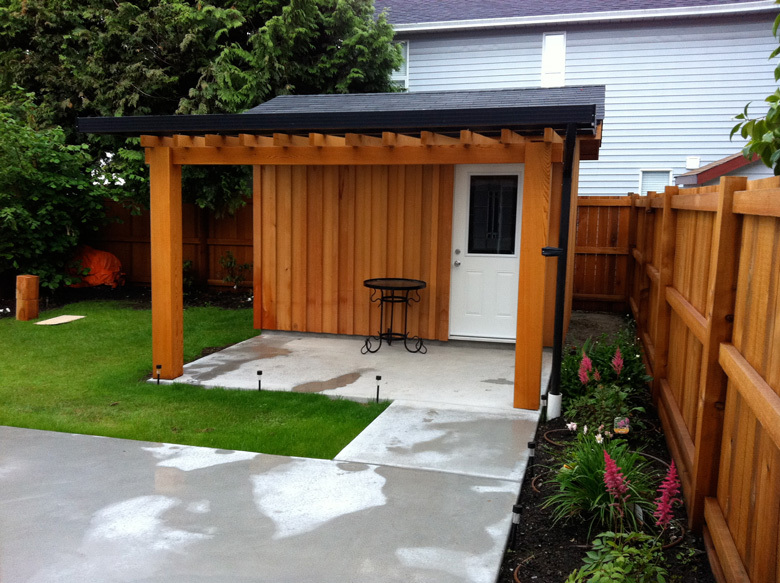 This shed and pergola were custom built for a client. 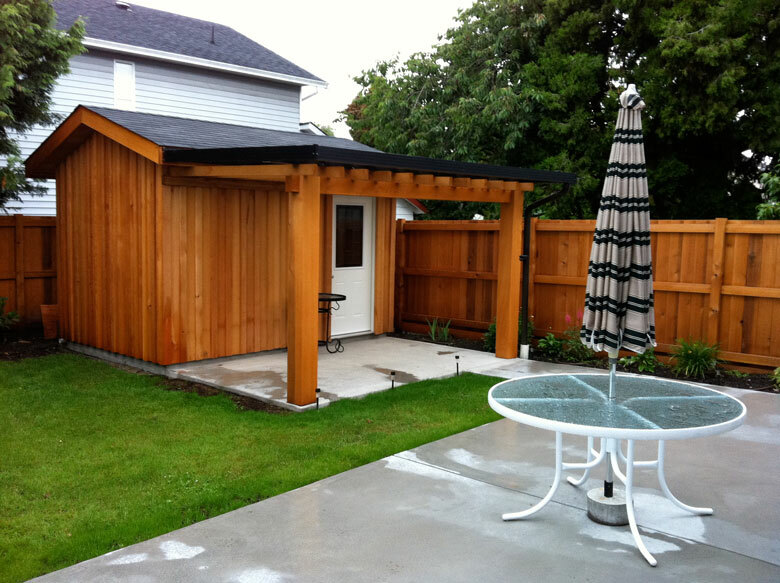 The client intends to use the shed for storage and the covered pergola will house a hot tub. The shed was cladded in cedar, as per the client’s request. Timber frame construction was used for the pergola to give it the desired look. The client painted the shed and fence to match in a natural cedar stain.